The unmonumental project began in the Spring of 2008, the day I visited the Unmonumental exhibition at New York’s New Museum. The exhibition set out to explorefragmented forms, torn pictures… crumbling symbols and broken icons. 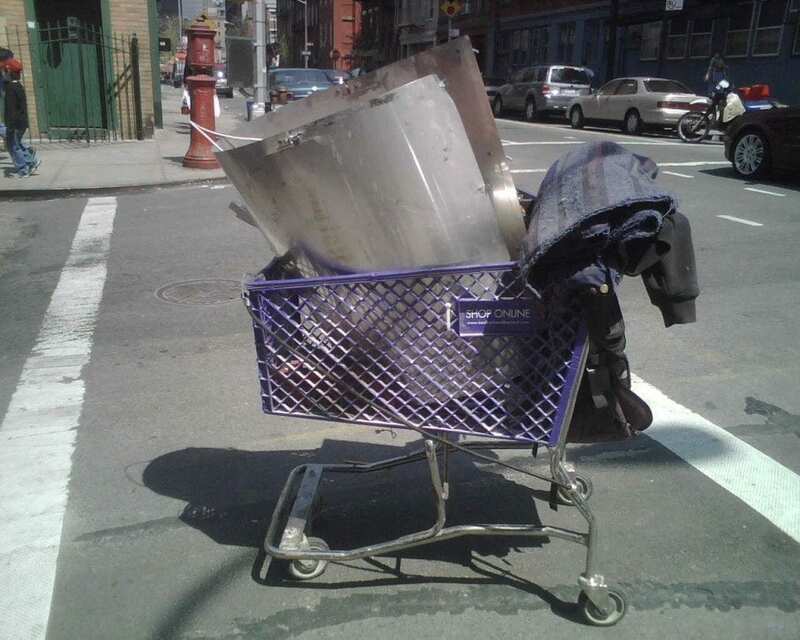 Later, I shot a photograph of a junk-filled shopping cart in the Meat Packing District and posted the image on twitter with the hashtag #unmonumental as a joke. Soon, I began shooting and posting photographs of discarded objects and detritus daily. I re-read Robert Smithson’s essay “Monuments of Passaic”1 and re-visited George Brassaï’s “Involuntary Sculptures”.2 What began as snarky commentary turned into a personal exploration of found objects and street photography. Joy Garnet’s work deals with archives as both subject and medium. Her paintings dwell on scenes that cannot be perceived with the naked eye. Her work has been included in exhibitions in the US and abroad, notably at the Milwaukee Art Museum, MoMA PS1, Whitney Museum of American Art, Museum of Contemporary Craft Portland, Boston University Art Gallery, Illinois State University Galleries, The James Gallery at CUNY Graduate Center, the Visual Art Center of New Jersey, BALTIC Centre for Contemporary Art (Newcastle upon Tyne, UK) and the Witte Zaal (Ghent, Belgium). Lucy Lippard, Christopher Phillipsand Tim Griffin have written about her work, which is in the permanent collections of the National Academy of Sciences (Washington DC), Altria and The West Collection (Oaks, PA). She has received grants from Anonymous Was a Woman and the Lower Manhattan Cultural Council, and commissions from The Wellcome Trust (UK) and The Chipstone Foundation, Milwaukee. Garnett lives and works in New York and is represented by Slag Contemporary, NY.